This kid-approved dinner recipe is almost as easy as making tacos in a traditional tortilla shell. Actually, it might be easier because you don’t have to deal with with shells that crack apart and spill your fillings all over the table, or trying to awkwardly hold the taco filling in with one hand while you angle your head around to eat it. 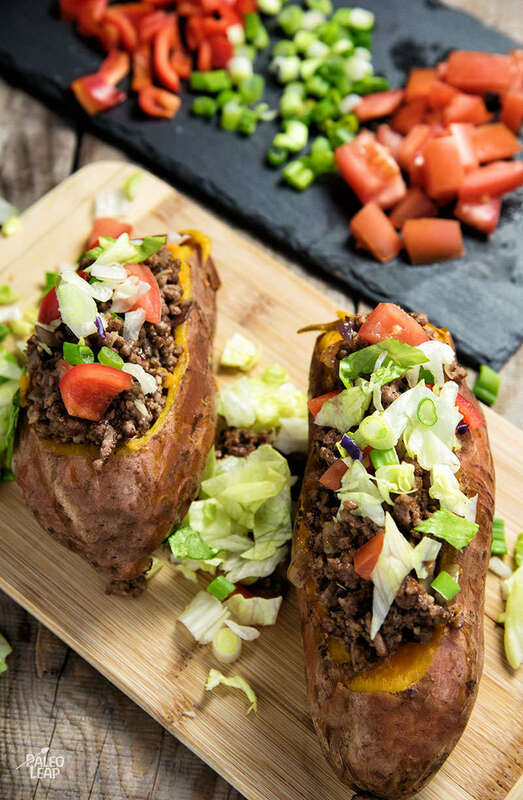 With a sweet potato as the “shell,” tacos are a knife-and-fork food: there’s a small sacrifice in crunch, but you get to keep the flavor without the mess factor. 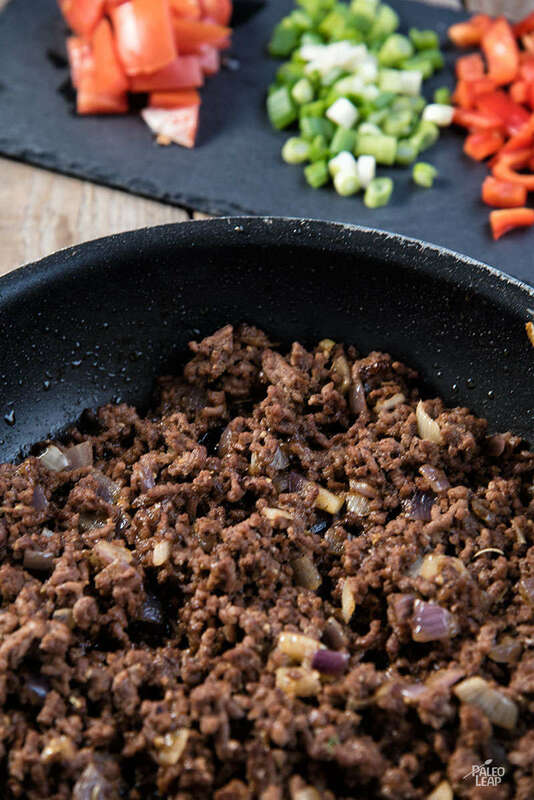 Tacos wouldn’t be tacos without salsa: rustle up a store-bought one that meets Paleo guidelines (remember: no corn!) or make your own using any recipe you like. And speaking of the toppings, none of these are really set in stone, so if there’s something else you like (or something you really hate), add or remove exactly to your taste. The only thing missing to make this a full meal is a vegetable (sorry, but a tiny sprinkling of tomato and pepper doesn’t count). What about a salad with avocado and maybe some citrus? A crunchy cabbage salad would also be a nice contrast; pick something you like and dig in. SERVES: 4 PREP: 20 min. COOK: 45 min.